Kasey, at Powercakes.net has a sweet option for a low-calorie holiday favorite! 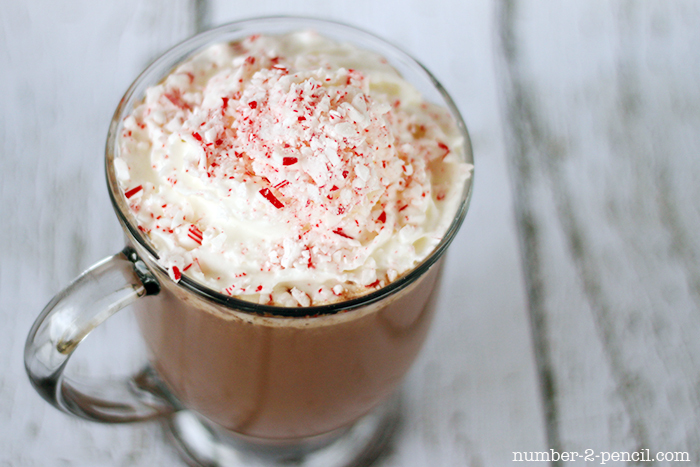 It’s a mix of peppermint & vanilla – to diieee for. & a squirt of Stevia, of course! I used the Candy Cane Lane! Ready for the nutrition stats on this lovely drink? 20 Calories & 4 grams of FIBER! Each tablespoon of Dark Cocoa has 10 calories & 2 grams of Fiber. Love the Heat of Sriracha?